You are an Ironman, Dale! In September 2014, Dale Magnuson made a decision: He was going to become an Ironman. It was an ambitious goal. To earn the coveted title, participants must complete a 2.4 mile swim, 112 mile bike ride and 26.2 mile run. Dale registered for the Wisconsin Ironman, to be held the following year in Madison. Then, he got busy training. As Dale points out, “you cannot do a triathlon on swimming alone.” So he also began training for the bike and running events. A friend suggested he try a Cycle 45 class, and he was hooked. “I had never been to an organized class prior to this,” he says. “I immediately realized the benefits of the class and started attending as many as I could.” Based on that positive experience, Dale also began attending a weekly strength training class. “The class, combined with cycling, swimming, and running, created the perfect combination for triathlon training,” says Dale. 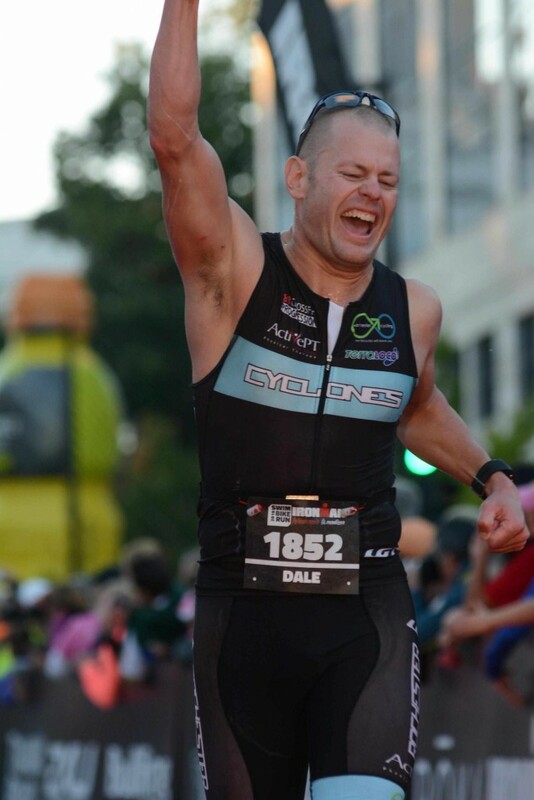 On Sunday, Sept. 13, 2015 Dale completed his journey when he crossed the finish line and heard Mike Reilly, known as the Voice of Ironman, declare: “You are an Ironman!” “Nothing could have prepared me for everything that I would go through that day,” says Dale. “It was the most physically and mentally difficult thing I have ever done, yet it was so much fun.” He credits the support and encouragement of DAHLC staff for helping him make it across the finish line.